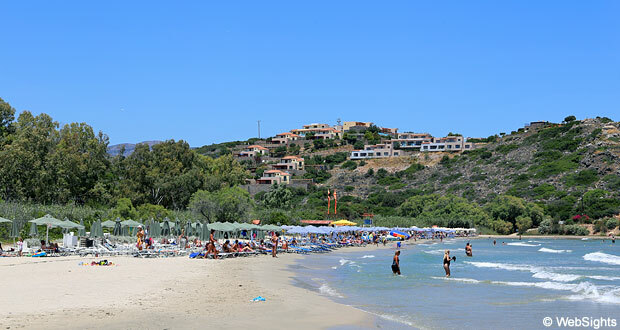 Almiros beach is located a bit south of the holiday resort Agios Nikolaos in the eastern part of Crete. 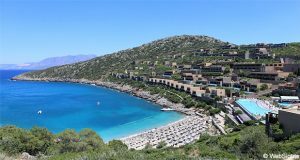 Almiros is often described as the nicest and best beach in Agios Nikolaos, even though it is located a bit outside of the town. The lovely sand beach is a little more than 300 m long, but not very wide. Behind the beach, there are many trees, and to the east, there is a lovely view of the mountains. The water is completely clear and very shallow. At the southern end of the beach, the water may be a bit colder, as the Almiros river falls into the sea here. 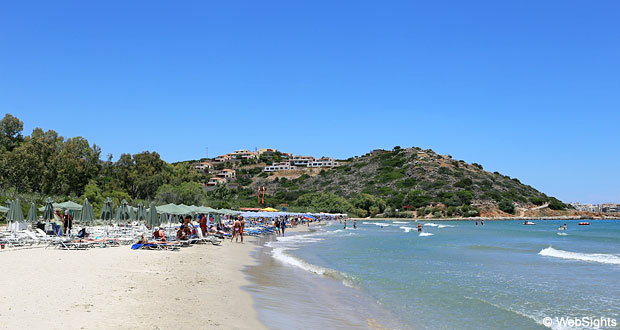 The beach has all the usual facilities, such as sun lounges, sunshades, showers and toilets. There are also changing facilities. 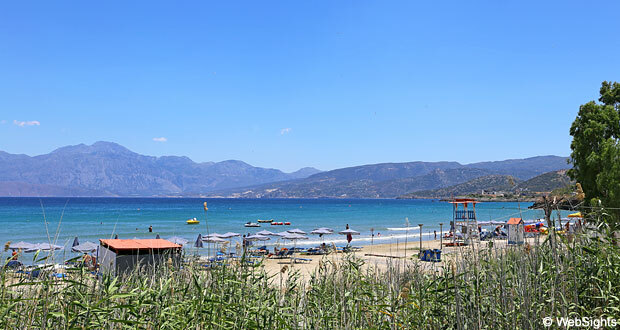 It is possible to walk to the beach from Agios Nikolaos, and otherwise it is easy to take the bus or a taxi. Visitors coming by car can park for free just next to the beach. Almiros is extremely child-friendly. The water is very shallow and there are rarely any waves. There is also a playground on the beach. 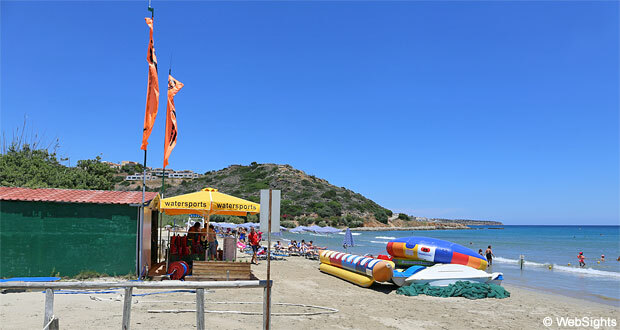 There are almost all types of water sports activities at Almiros, including jet skis, banana boat and water skis. There is a small beach restaurant behind the beach and a small movable beach bar serving cold drinks, ice cream and fast food on the beach. 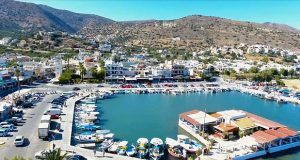 Agios Nikolaos is a nice and quiet town, which has managed to maintain some of its Greek charm. There is a lake in the middle of the town and in the charming quarters around the lake, there are many restaurants, cafés and shops.